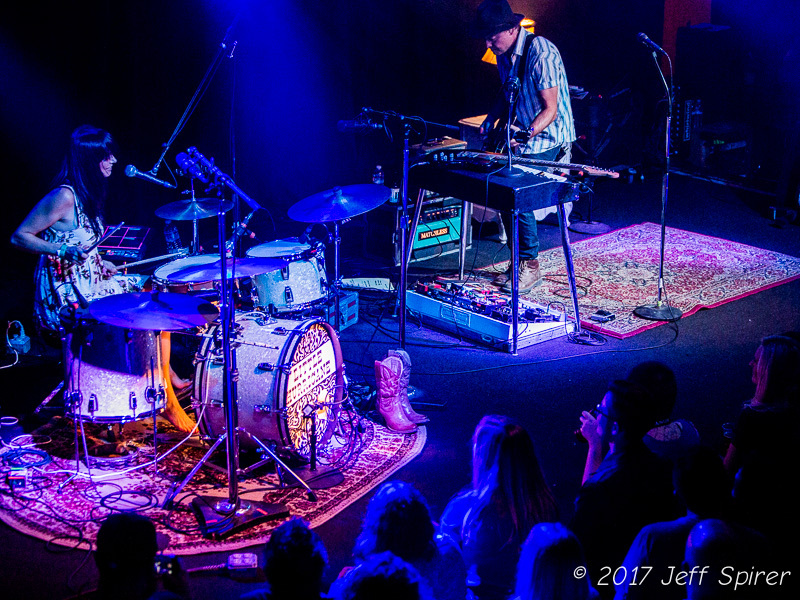 As their name suggests, Little Hurricane is both small – in that there are only two band members – and has a big sound that could aptly be compared to a hurricane. The band consists of drummer and occasional mandolin player, Celeste “C.C.” Spina, and guitarist and lead vocalist, Anthony “Tone” Catalano. 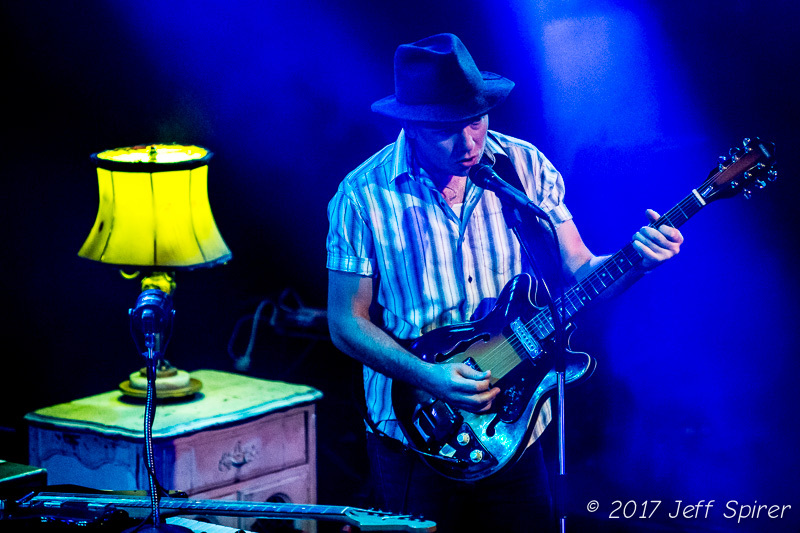 The San Diego duo brought their self-described “dirty blues” to the Independent last Saturday night, supported by another SoCal-based artist, Jade Jackson. 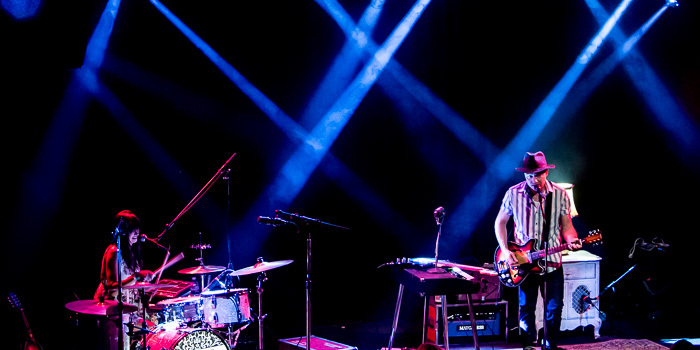 The headliners really lifted the packed crowd with a diverse set of original bluesy, soulful rock. According to their Wikipedia page, the band’s influences include Van Morrison, Dead Weather, Gorillaz, James Taylor, Paul Simon, and The Beatles. Oddly left off the list are the White Stripes, which Little Hurricane has probably been compared to more times than they’d care to remember. 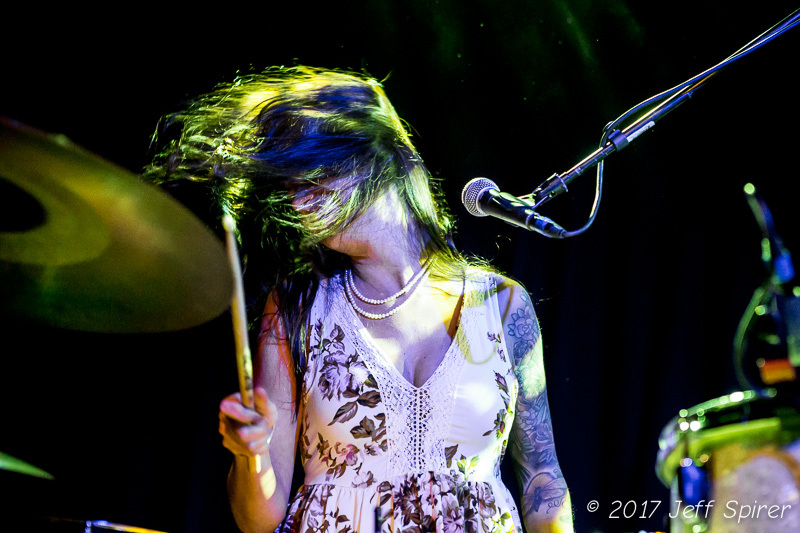 But besides the obvious similarity of being a duo with a female drummer and male guitarist/vocalist, they share DNA with the White Stripes in terms of vocal sound, intricate guitar work, and their shared blues and Americana influences. Also like the White Stripes, their big sound seems like it comes from more than just the two people on stage. Guitarist Tone utilizes a suite of pedals to create the effect of a deep bass line beneath his guitar work that adds a massive, three-dimensional sound. 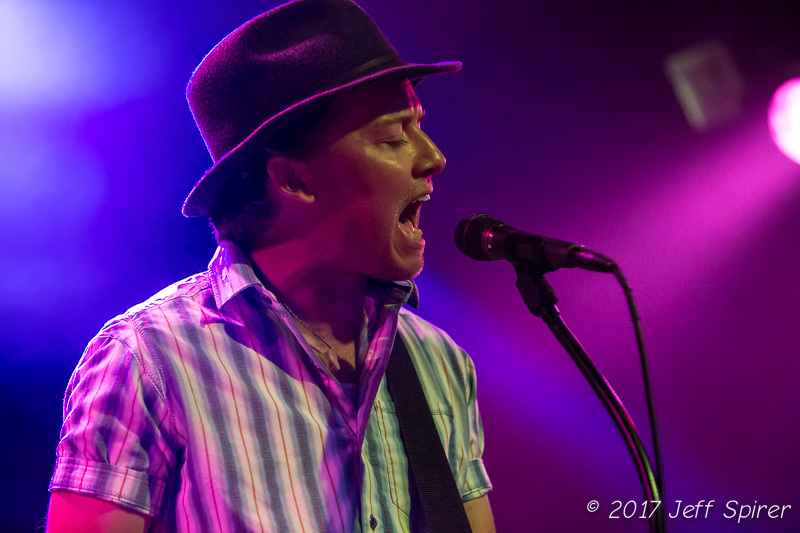 Switching seamlessly between four guitars and a slide guitar, he packs an astounding amount variety and depth into to their live show. C.C. 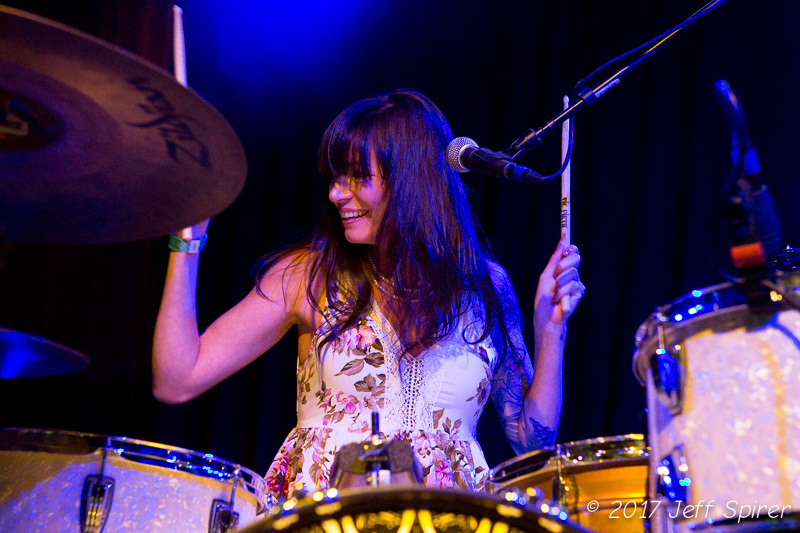 holds everything together with her stellar drumming. While Little Hurricane is known for their original music, which has been featured in numerous movies and television shows, they also incorporated a few cover songs drawn from their 2013 album of covers, Stay Classy. Their bluesy, stripped down version of “Ain’t No Sunshine When She’s Gone” brought the house down. They also ended the evening with a surprising song choice, “Natural Blues,” a hit for electronic producer Moby in the late 1990s. But, like the rest of the high energy evening, it worked. One thing that has to be said about Little Hurricane is that they play really, really well together. The duo never faltered in staying perfectly in sync with one another, perhaps a symptom of their intimate personal relationship. The two met in 2010 when guitarist Tone answered a Craigslist ad that C.C. had posted looking for band members. Their professional compatibility soon grew into a personal relationship. The two announced on Saturday that they are expecting their first child together in the fall. Little Hurricane is definitely a band to start following. While there are no more opportunities to check them out live in 2017, their new album and major label debut, Same Sun Same Moon is out now and well worth the listen. 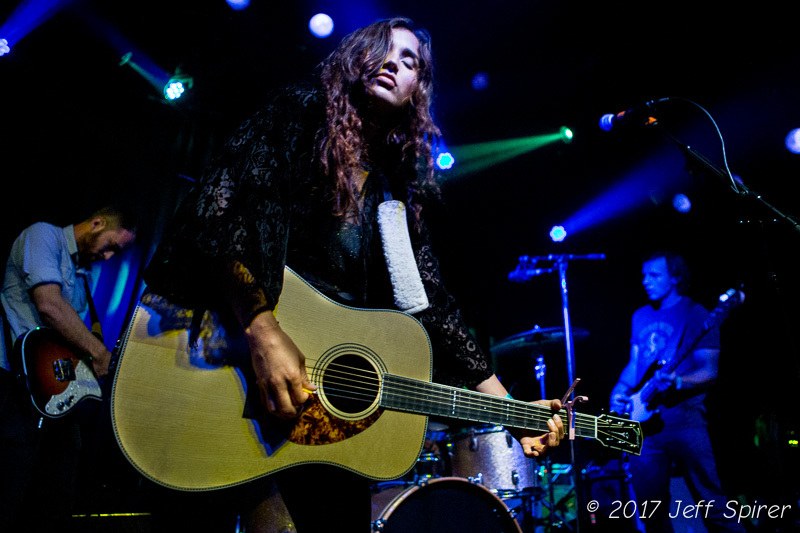 Newcomer Jade Jackson really got the crowd hooked with a country-rock sound punctuated by deeply personal and poetic lyrics. Jackson’s debut album Gilded was produced by Social Distortion’s Mike Ness and released this past May. The twenty-five year old’s emotional lyrics are perfectly delivered in her deep, raspy voice reminiscent of Lucinda Williams, Joan Osborne, or even Hope Sandoval of Mazzy Star, if the latter ever took up country guitar. 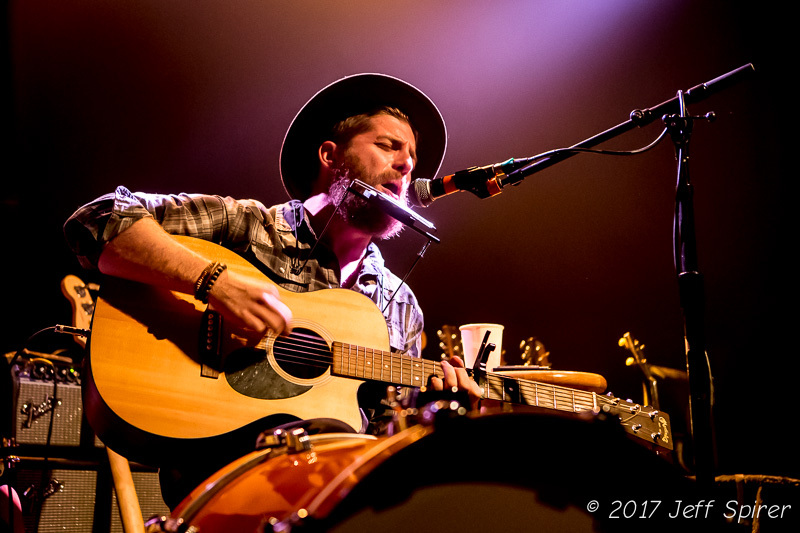 The night was kicked off by Jon Gunton, who can best be described as what would happen if the Lumineers morphed into a one-man band. Armed with an acoustic guitar, kick drum, amusing lyrics, and a bottle of wine, Jon got the crowd perfectly warmed up. For more information about Little Hurricane, see their website. Find out more about Jade Jackson here.